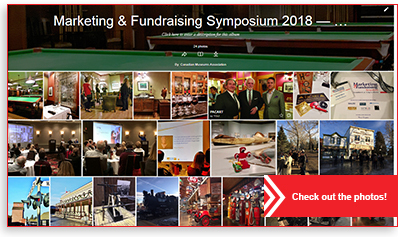 On November 2018, museum professionals from across Canada came together for the Marketing & Fundraising Symposium in Calgary. The event was a great success with inspiring keynotes, engaging sessions and offsite activities. The late Stephen E. Weil has long been considered one of the museum community's most insightful (and frequently wittiest) commentators. His 1980 essay entitled No Museum is an Island is just as relevant if not more so today than almost 40 years ago. If Canadian museums and galleries once stood as islands, distanced from the turmoil of the world around them, the situation in which they find themselves today is very different. Who should provide the critical resources needed for the museums of the 21st century? How will museums successfully mediate between their traditional missions and mandates to better serve the future while addressing the insistent demands of the present? How will museums strengthen their capacity without compromising their basic museum goals and objectives? How do we collaborate, both internally and externally, to reach our objectives? 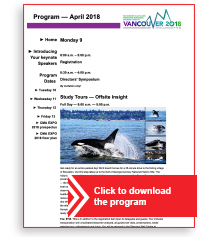 In April 2018 we came together in beautiful Vancouver, British Columbia. 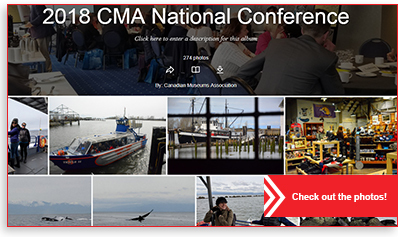 At a time when many professional development and travel budgets are under extreme pressures, we know you’ll need to justify the expense of attending MEC 2018. 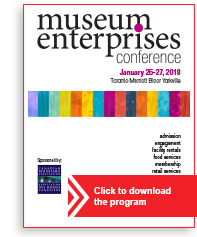 MEC is the annual conference specifically designed to develop your business experience and entrepreneurial skills that will help maximize the results of museum-based commercial activity in your institution. Find solutions to issues you currently face. Share innovative ideas and best practices with others in the cultural commerce community and learn firsthand what others have been doing. Discover tools to survive this changing economy and business environment. 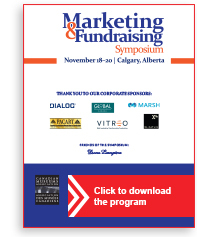 Gain valuable information from leaders in our sector. Visit the MEC Expo with vendors that understand your visitors and your merchandising needs. 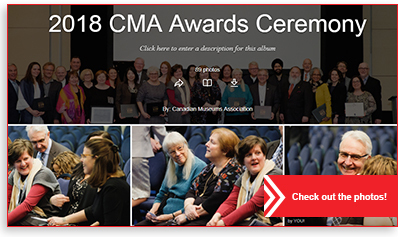 Network with your colleagues from across Canada! 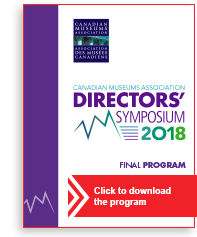 The Canadian Museums Association (CMA) 2018 Directors’ Symposium provides chief executive officers and directors of Canada’s cultural institutions a unique national forum to openly discuss critical issues. The Symposium is predicated on the idea that leaders in our sector benefit from networking opportunities while discussing the critical issues our sector faces. As well, time has been set aside for open forum discussions. Facilitated discussion on new national museum policy directions. Ethical giving round table discussion. What’s hot and what’s not: Five topics, and 20 minutes per topic. Each Director will be invited to pose an issue or question to the group for valuable peer insight and feedback. The Ottawa Declaration Working Group, in association with Library and Archives Canada and the Canadian Museums Association, hosted “Taking it to the Next Level: Galleries, Libraries, Archives, and Museums (GLAMs) Summit 2018.” The event was held on January 30, 2018 at The Royal Ontario Museum, 100 Queen's Park, Toronto, from 8:30 a.m. to 5:00 p.m.
Communities: How can collaborative relationships among GLAMs benefit local communities, as well as provide greater opportunities for building links and fostering community identity? Indigenous peoples: How can GLAMs work more closely with Indigenous peoples to renew relationships based on mutual understanding and respect? Private sector: How can GLAMs work with the private sector to encourage greater innovation? Government priorities: How can GLAMs advance their interests vis-à-vis various levels of government? Below you have a series of videos of the event.